Densely packed crowds vie for space in the packed streets, children darting to and fro under the hooves of horses and aggravated shoppers. On either side vendors call out their wares- spices, fine linen, slaves, anything will sell here- while friends and family chatter to each other about prices. It's too hot to stay long and by afternoon the street will be nearly empty but for now the people are lively and business is booming. 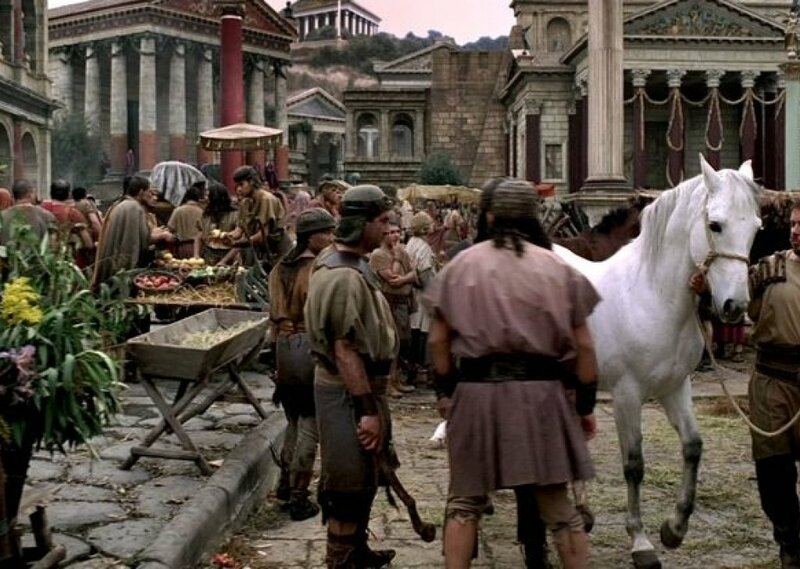 License details for "Roman Marketplace"